By today’s standards, Brugal, home of the very good 1888 Gran Reserva, made something of a fail in the genus of white rums with this Blanco. 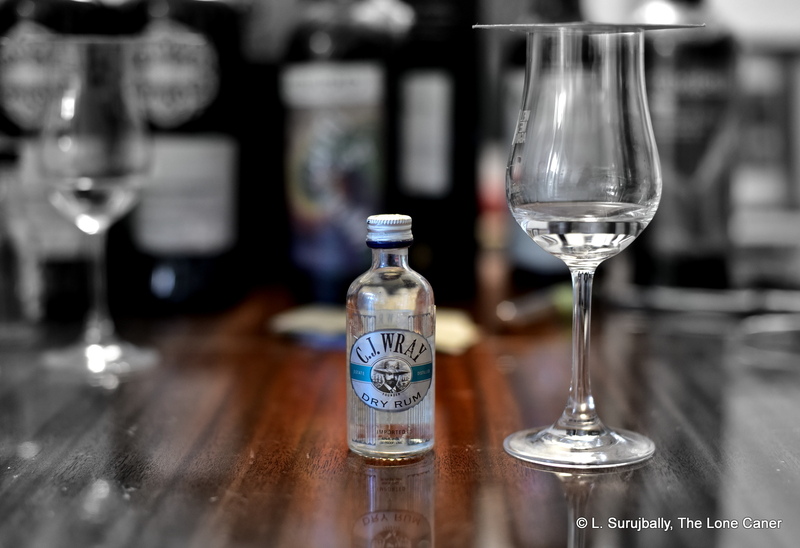 That’s as much a function of its tremblingly weak-kneed proof point (37.5%, teetering on the edge of not being a rum at all) as its filtration which makes it bland to the point of vanilla white (oh, wait….). Contrast it with the stern, uncompromising blanc beefcakes of the French islands and independents which blow the roof off in comparison: they excite amazed and disbelieving curses — this promotes indifferent yawns. To some extent remarks like that are unfair to those who dial into precisely the coordinates the Blanco provides — a light and easy low-end Cuban style barroom mixer without aggro or bombast, which can just as easily be had in a sleepy backroad rumshop someplace without fearing for one’s health or sanity after the fact. 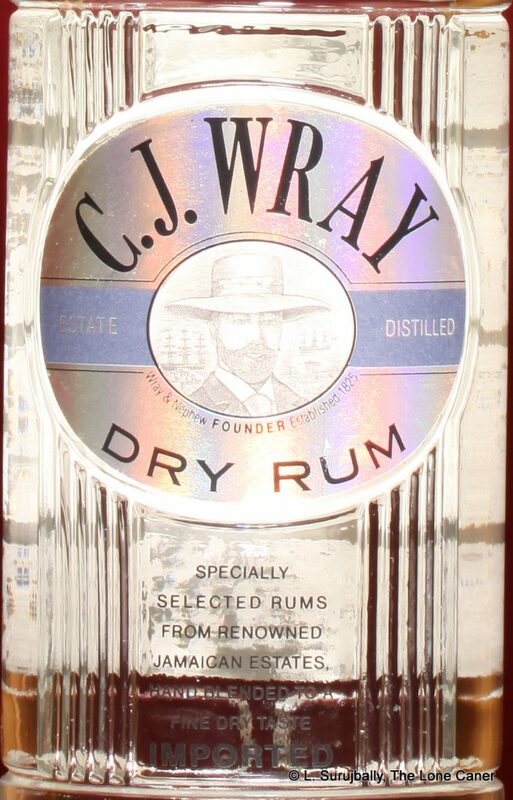 But they also encapsulate how much the world of white rums has progressed since people woke up to the ripsnorting take-no-prisoners braggadocio of modern blancs, whites, clairins, grogues and unaged pot still rhinos that litter the bar area with the expired glottises of unwary rum reviewers. Technical details are actually rather limited: it’s a rum aged for two years in American oak, then triple filtered, and nothing I’ve read suggests anything but a column still distillate. This results in a very light, almost wispy profile which is very difficult to come to grips with. Take the nose – it was so very faint. Being aware of the proof point, I took my time with it and teased out notes of Sprite, Fanta, sugar water, and watermelon juice, mixed up with the faintest suggestion of brine. Further sphincter-clenching concentration brought out hints of vanilla and light coconut shavings, lemon infused soda water, and that was about all, which, it must be conceded, didn’t entirely surprise me. All this continued on to the tasting. It was hardly a maelstrom of hot and violent complexity, of course, presenting very gently and smoothly, almost with anorexic zen-level calm. It was thin, light and lemony, and teased with a bit of wax, the creaminess of salty butter, coconut shavings, apples and cumin — but overall the Blanco makes no statement for its own quality because it has so little of anything. Basically, it’s all gone before you can come to grips with it. Finish? Obviously the makers didn’t think we needed one, because there wasn’t really anything there. 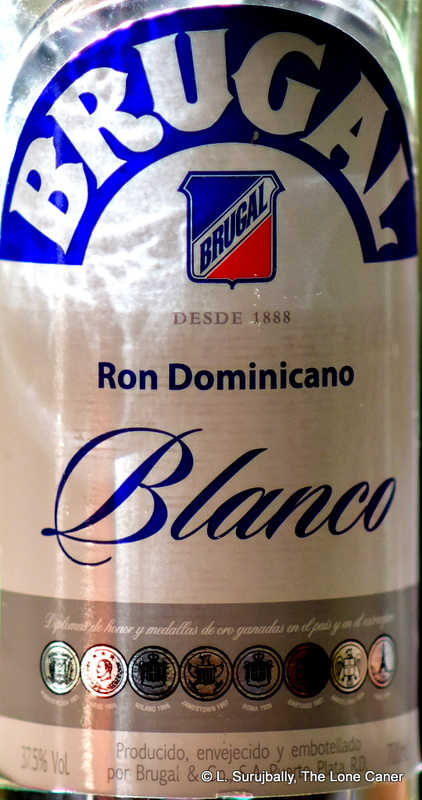 The question I ask with rums like the underproofed Blanco is, who is it made for? – because that might give me some idea of why it was made the way it was. I mean, the Brugal 151 was supposed to be for cocktails and the premium aged anejos were for sipping, so where does that leave something as milquetoast as this? Me, if I was hanging around with friends in a hot tropical island backstreet, banging the dominos down with a bowl of ice, cheap plastic tumblers and this thing, I would probably enjoy having it on the rocks. On the other hand, if I was with a bunch of my fellow rum chums, showing and sharing my stash, I’d hide it out of sheer embarrassment. 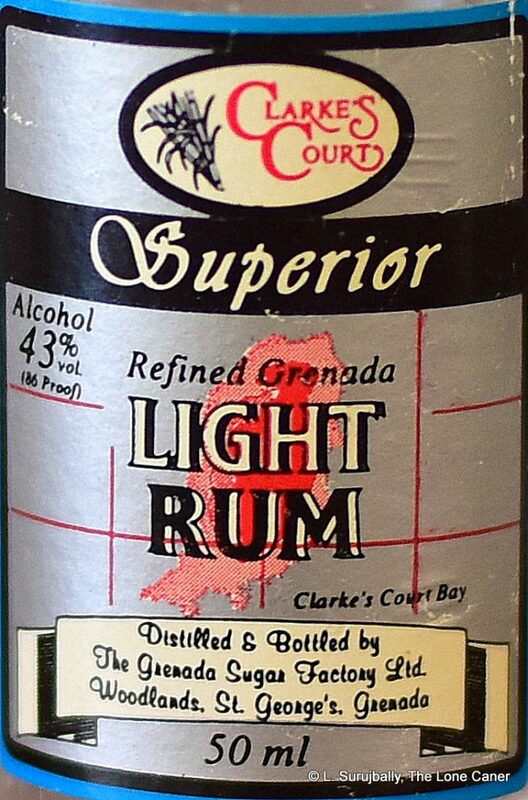 Because compared with the white rums which impress me so much more, this isn’t much of anything. Company background: Not to be confused with Dominica, the Dominican Republic is the Spanish speaking eastern half of the island of Hispaniola…the western half is Haiti. Three distilleries known as the Three Bs operate in the DR: Bermudez in the Santiago area, the Santo Domingo distillery called Barcelo, and Brugal in the north coast. Brugal, founded in 1888, seems to be the largest, perhaps as a result of being acquired in 2008 by the UK Edrington Group (they are the makers of Cutty Sark, and also own McCallan and Highland Park brands), and perhaps because Bermudez succumbed to internecine family squabbling, while Barcelo made some ill-advised forays into the hospitality sector and so both diluted their focus, to Brugal’s advantage. 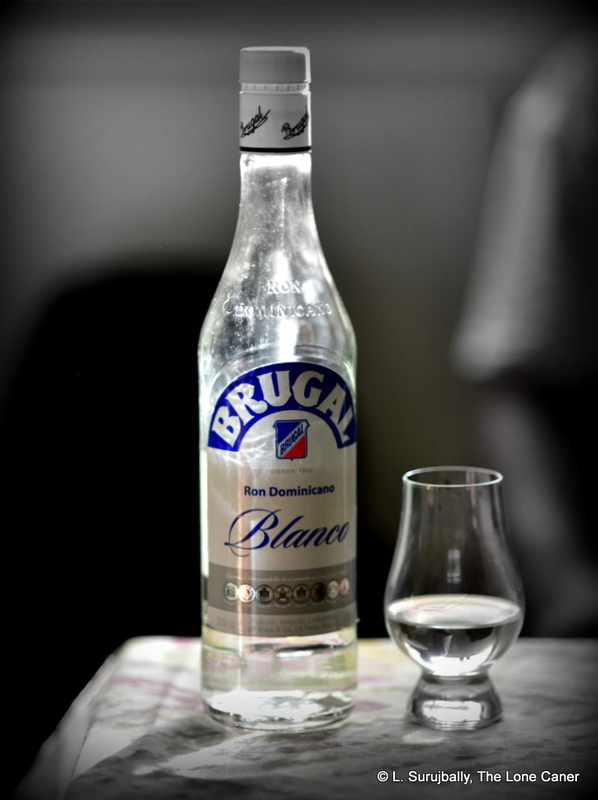 There are other blancos made by Brugal: the Ron Blanco Especial, Blanco Especial Extra Dry, the 151 overproof, and the Blanco Supremo. Only the Supremo is listed on their website (accessed March 2019) and seems to be available online, which implies that all others are discontinued. That said, the production notes are similar for all of them, especially the 2 year minimum ageing and triple distillation.